Pro Movers are house movers in North Carolina that work for total customer satisfaction. Whether the organization of the move is important to you or simply the safety and security of your belongings, this company can put your mind at ease. They operate in a way that maximizes efficiency and always leaves the homeowner in the know about how the belongings have been organized and packed away. You can expect the best service when you hire this company for local or nationwide moves. Whether you need residential or commercial Raleigh movers, Coastal Carrier has you covered. This professional company has been helping countless families move in the area with total organization and respect for the belongings that are being relocated. When you are interested in working with these experts you can get a free moving quote to see just how affordable the service can be. The movers and packers will ensure everything from our old home arrives in perfect condition in the new one including large items like furniture or a piano. 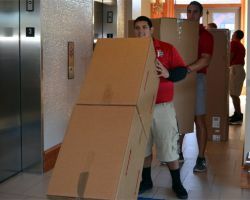 Few Moves is one of the best moving companies in Raleigh, NC because this team is dedicated to moving your things as quickly and efficiently as possible while ensuring everything is packed safely. The friendly service and industry knowledge are clear from the very first time you speak with a technician to discuss your needs. Whether you are looking to move to the next street or need nationwide moving services, this company can accommodate. Reviews say that this expert’s help is definitely worth the already cheap prices. Holloway Moving is a company that works to take the stress out of moving while also taking great pride in the work that they do. This means that you will always experience friendly customer care as well as efficient moving. 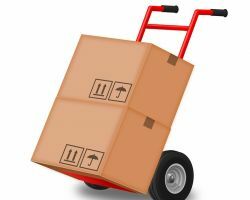 Whether you are looking to move to a new office space, need to keep your things in storage or are upgrading from an apartment, this company can accommodate for any residential or commercial moving situation. This flexibility also includes being able to move long distance. 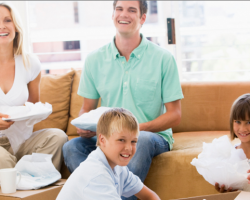 Moving is so much easier and much less stressful when you have the help of Unity Relocation. This company has been operating as a local moving company in North Carolina since 2003. In that time the company has always provided the highest quality moving services. 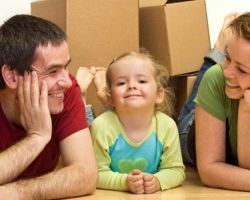 This means keeping your possessions safe and accounted for throughout a move while also maintaining total organization. You will love being able to work with such a friendly and experienced company to make your move something you might even enjoy.